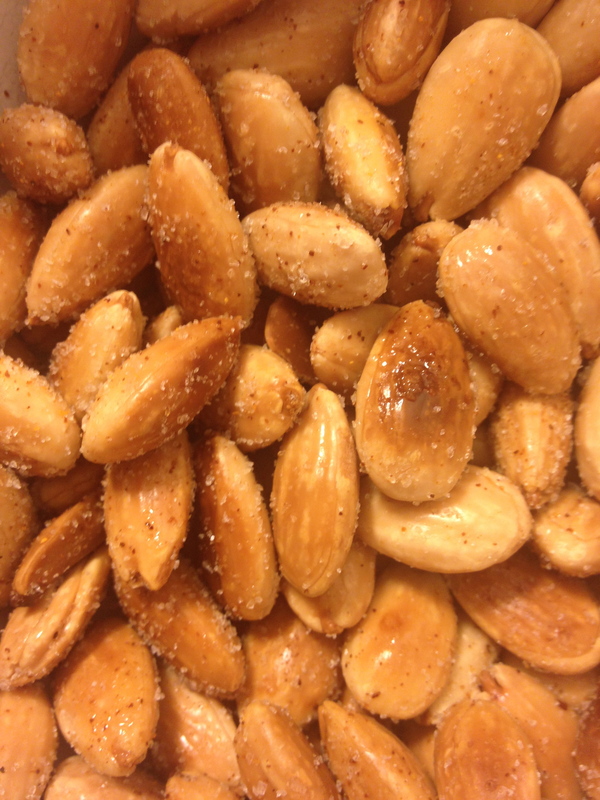 I promised you that there would be more almonds to follow as part of my Edmonds Cookbook challenge, and I did not lie. We now find ourselves at devilled almonds. When you put your mind to it, there is a considerable number of food items prefaced by ‘devilled.’ Devilled eggs and devilled sausages, to name but two. I also came across a recipe for devilled kidneys in my travels through the internet, which sound slightly less appetising. One begins by heating the oil in a frypan. The recipe does not specify which type of oil one should use – I used plain old vegetable oil and it worked fine. 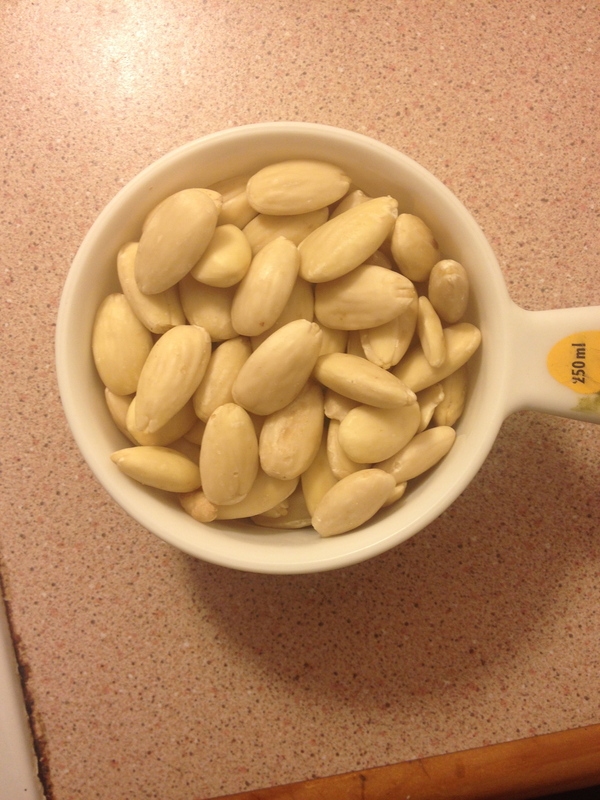 Then, add the blanched almonds. You may recall I have had adventures with blanched almonds not so long ago – as discussed then, blanched almonds are naked, skinless almonds; their clothes removed through a boiling water process. 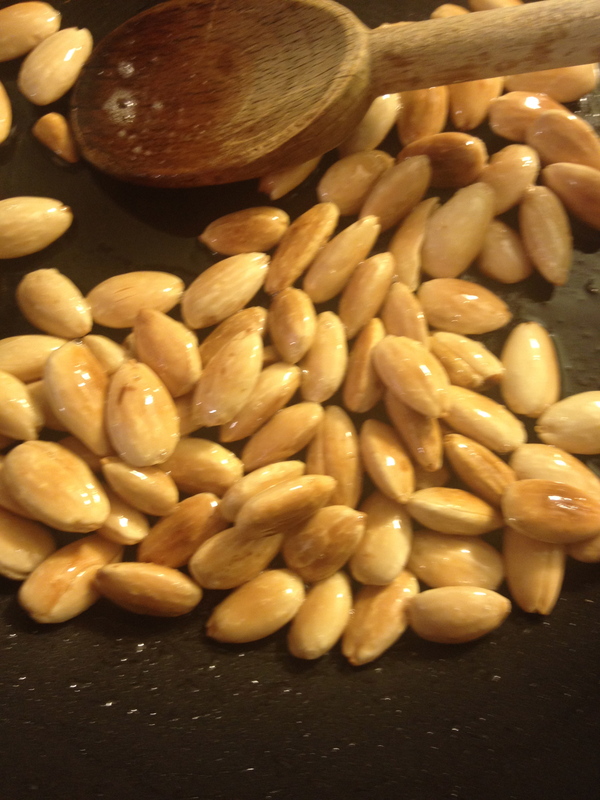 Stir these almonds until they turn golden. They smell delicious during this process. 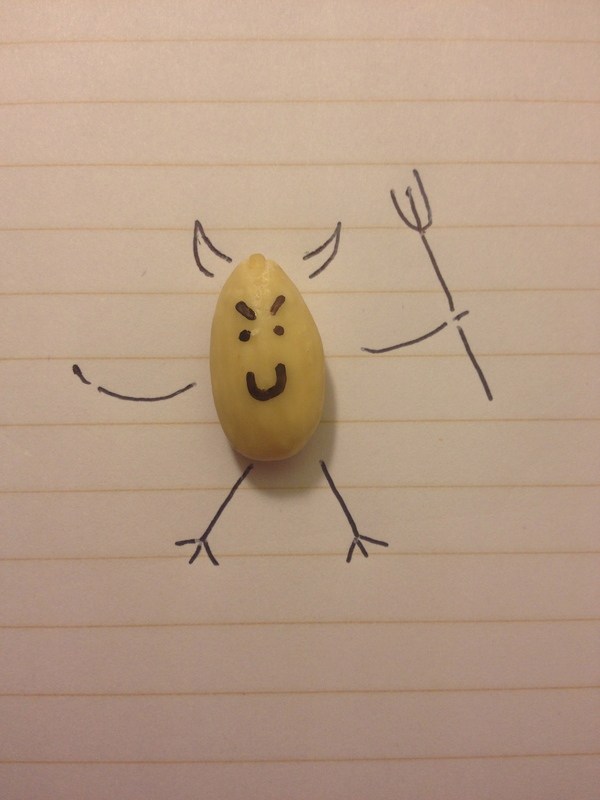 Remove the almonds and drain them on absorbent paper. Combine the chilli and salt and toss the almonds in this mixture to coat them, adding more chilli if you so desire (I did). Leave them to dry before use. These little guys are scrumptious! Really, how can you ever go wrong with fried nuts? Not often, in my savoury-toothed world. I think there is plenty of potential for some delicious variation with this recipe. It would be delicious with some freshly ground pepper added, or some cumin and ground coriander. I’m even wondering about the possibility of a little wasabi powder. Varying the oil used could also yield bountiful tastiness. 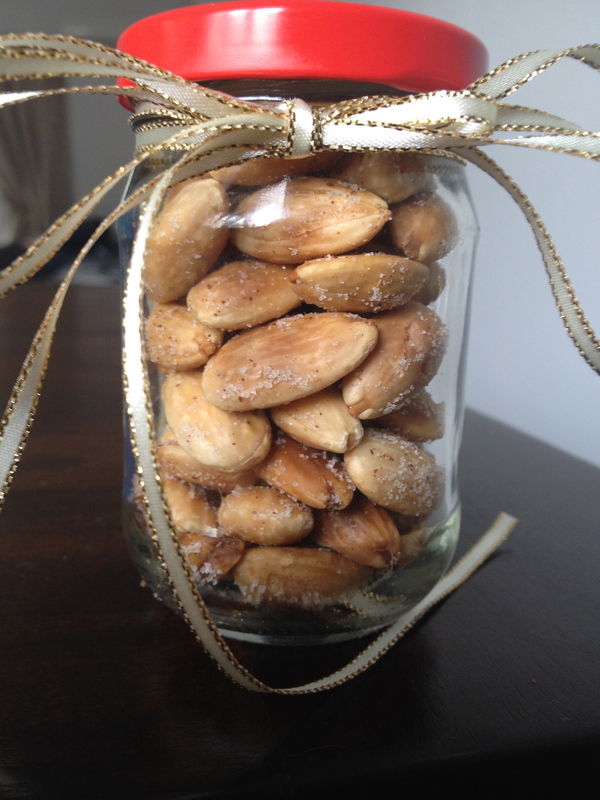 They would make a lovely little gift for the nut-lover in your life as they are quite pretty as well as delicious and look cute all done up in a jar. Enjoy! Especially with a cold beverage before dinner.